Jens Nordmann and Ian Warner began collaborating as the Truant Monks in 2006, in the spirit of Erik Satie’s “musique d’ameublement”. Their first performances, held in the context of art installations, were enacted as benign occupations of the gallery space. Sometimes performing from within the installation, their physical presence sought to extend the given setting into the sonic sphere. More recently, their performative research stems from two preoccupations: firstly, a semantic approach to field-recordings, in which the manipulation of concrete “sound-objects” addresses the uncanniness of sounds divorced from their physical point-of-reference; and secondly, attempts to debunk the assumed authenticity of folkloristic instruments, embodied best by their construction and virtuoso playing of prepared gardening implements. 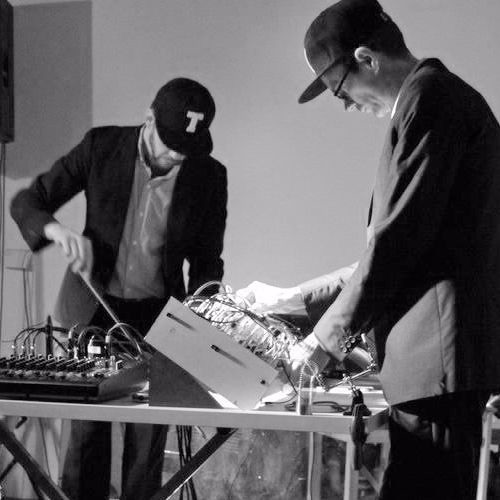 Live sampling, and brute-force electronics impose a rude cohesion onto proceedings. Both strategies are focused on dismantlement rather than composition and strive for an almost nature-identical level of ambivalence.